When President Woodrow Wilson in 1916 signed into law the bill that created the National Park Service, it was far more difficult for Americans to travel between the nation's many gems in its vast wilderness that the law was meant to protect. But technology and travel have come a long way since then. 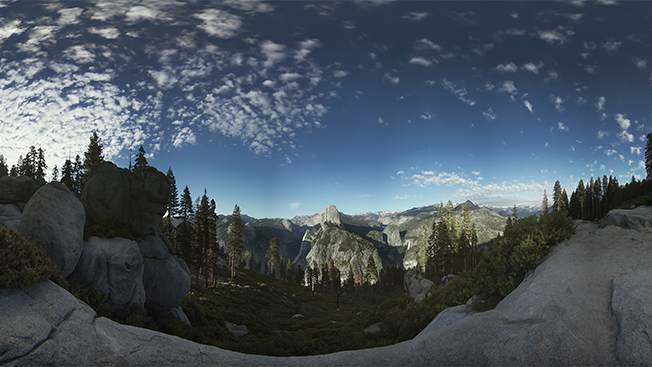 And now, exactly 100 years later, the current president is using virtual reality to bring people to one of those very places: Yosemite National Park. 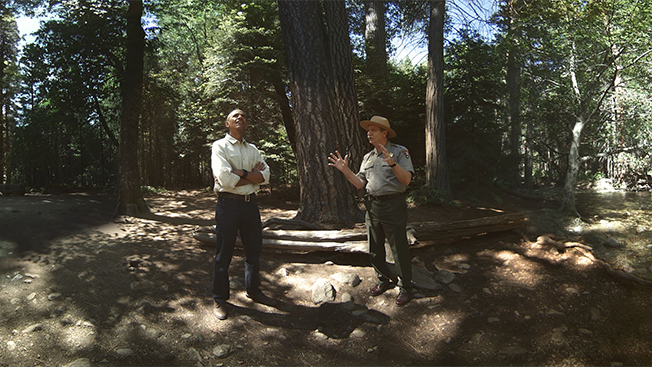 Today, as the National Park Service celebrates its centennial, the White House will debut a live-action virtual reality experience featuring President Barack Obama walking around the park with his family on Father's Day weekend. 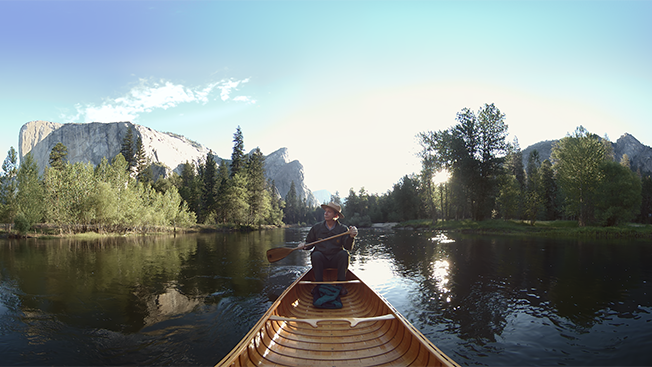 The 11-minute film, "Through the Ages," was created by Emmy Award-winning Felix & Paul Studios and produced in partnership with Facebook's Oculus team and National Geographic. Along with celebrating the 100-year anniversary of the National Park Service, Obama narrates the film, highlighting the history of the park, along with addressing the need to visit and to preserve the 89 million square miles of protected land in the U.S.
"All of this is really to support the message," Paul Raphael, the studio's co-founder, said during an interview after giving Adweek an early demo of the film. "We hear a lot of people say what their messages are all the time, but to actually feel and understand it on a visceral level is a rare thing." When a viewer puts on a VR headset, they are instantly transported to a field within the park to watch the president's helicopter descend, its propellers pushing air against the tall grass under a clear blue sky. Later, they're on a canoe paddled by a park ranger, who in another scene is talking with Obama and the president listens intently as he looks up at the sky, squinting at the sun. This isn't the first VR film Felix & Paul Studios has created. The team won a Daytime Emmy Award for its VR experience about Cirque du Soleil. It also received a second nomination for a VR film it created with former President Bill Clinton, which featured the Clinton Global Initiative's work in East Africa. Raphael said virtual reality is uniquely suited for transporting a viewer, but the question was also about capturing the "serenity, the beauty, the scale," of the park. However, it was also to give the viewer a new way of seeing the park's natural beauty while feeling a connection with the president. "I love the fact that he talks about what this whole thing means to him on a personal level," Raphael said. "And to be next to him when he's talking about something so close and personal to him, which relates to the whole topic of the film, I think that was something we were really hoping to get from the outset." Watch a trailer of the VR film here, available today on Facebook and Gear VR, with an Oculus Rift rollout later this week.